Over the summer BA Graphic Communication students who has just finished their first year entered a competition run organised by Oculus, a Reading design company who are celebrating their 20th anniversary. The students were asked to create a brand for a fictional company and to deliver both visuals and a written rationale of the thinking behind their idea. 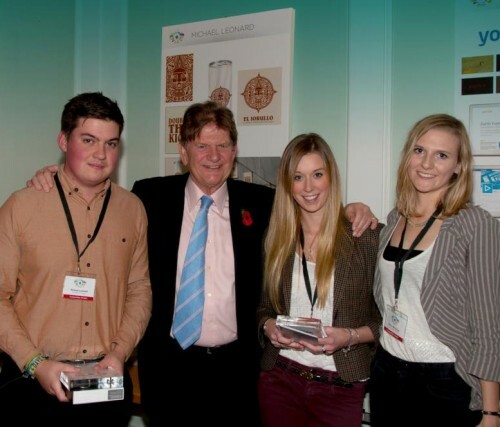 Earlier this month the top ten entries were displayed at an awards ceremony hosted by Oculus and prizes were presented by the Chancellor, Sir John Madejski, to the three winners Mike Leonard (1st place), Bethan Prestwich (3rd place), and Emily Whiteside (2nd place).